I’ve been a fan of point and click adventure games for as long as I can remember. But finding truly outstanding titles in a somewhat oversaturated genre isn’t always an easy task. 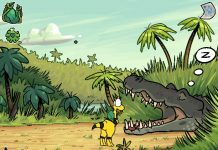 Sure, there have been some good point and click games in recent years. The Little Acre is a great, modern example, for instance, and 2015’s The Book of Unwritten Tales II was spectacular. 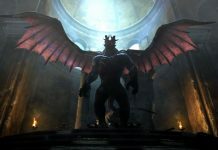 But rarely does an adventure game come close to the mastery of Revolution’s Broken Sword: Shadow of the Templars. Even the most recent Broken Sword, as enjoyable as it was, falls short of the high standards set by its predecessor. But recently, I caught wind of an upcoming game called Lamplight City. A pixel art point and click adventure, from first glance it seemed to have all the charm I’d expect from a true classic in the genre. It follows a troubled private investigator, Miles Fordham, as he works through solving five individual crime cases. An ex-police officer, he left the force after his partner Bill was killed on the job. And, feeling responsible for his death, he’s constantly haunted by him. In playing Lamplight City, you’re not only privy to Miles’ thoughts, but also those of his dead colleague. 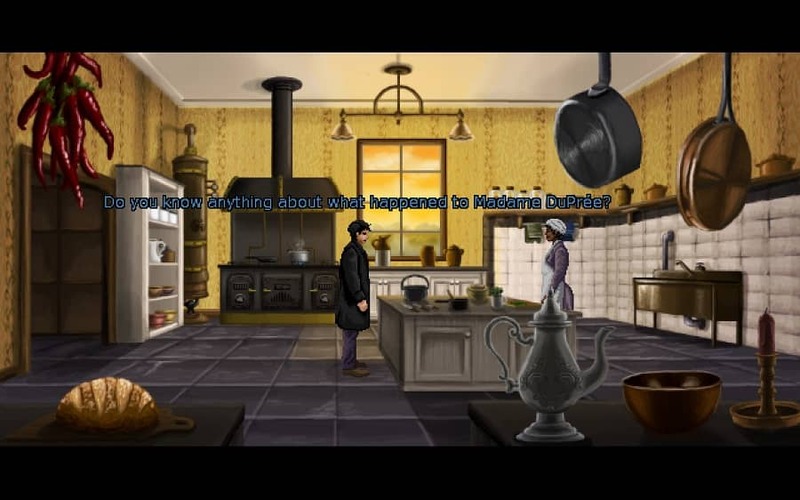 Due to come out later this year, I’ve recently played through Lamplight City’s demo. It took a couple of hours to complete, and started with an opening scenario that set the scene for Miles and Bill. I also played through the first of the game’s five cases. It gave me a pretty good taste of what to expect from the full release of Lamplight City, and I’ve got to say: it’s shaping up to be something special. 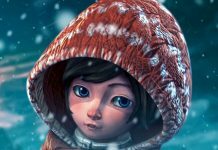 Developed by indie studio Grundislav Games, which seems to primarily be just one person, Francisco González, Lamplight City has a surprising level of polish. Its pixel art style is incredibly detailed, with environments packing in a lot of character. The character models, too, have personality in droves. But what really sets the game apart is the fact that it’s fully voiced. It’s a rare delight to find in indie developments, but it really propels the game to the next level. The voice acting is, for the most part, very strong. The main character and his spectral companion bring the game to life with lively, emotional performances. Some supporting characters are a little wooden, but they’re believable enough to immerse you deeper into Lamplight City’s intriguing world. 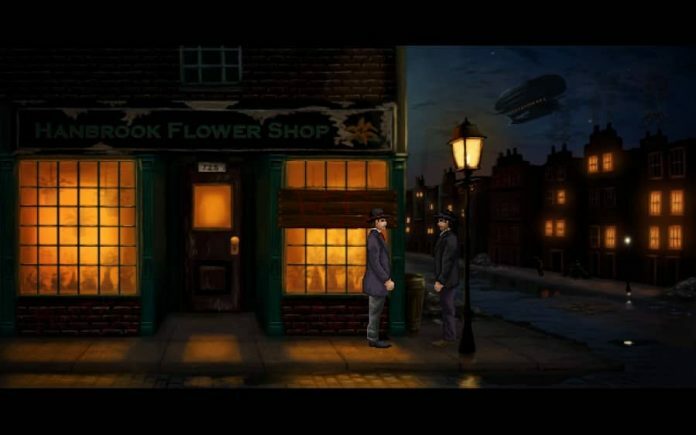 Set in a fictional 19th century city, Lamplight City’s inspiration feels Victorian in design, but with an air of steampunk. 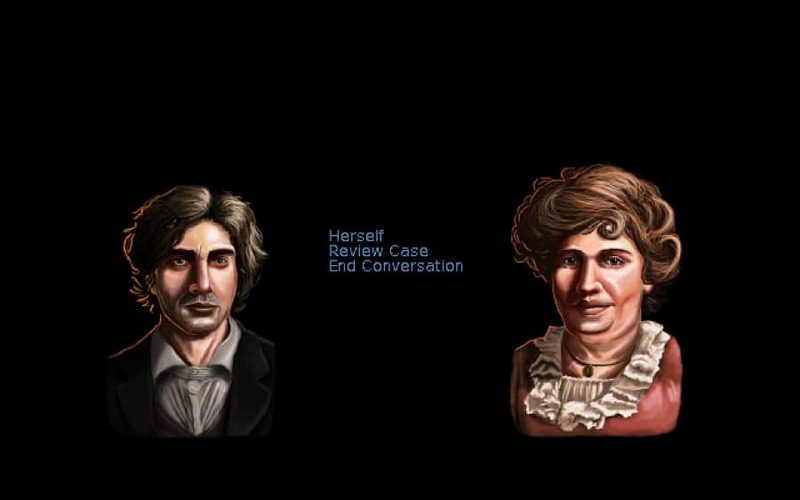 But while the game’s world might be a fictional one, Lamplight City’s narrative touches on very real subject matter. Throughout the demo, themes of race, class and oppression are prevalent. It’s an intrinsic part of the plot, but it’s handled very well and helps make this fictional city feel like a real part of history. The city is varied, with cases taking you between the poverty-stricken streets of Cholmondeley (known not-so-affectionately as ‘The Chum’), the wealthy residential district of Lyon, and the bustling working man’s district of Worcester. Just in working through the first chapter of the game I visited several, vastly different, locations. Following a trail of clues took me from a graveyard crypt to an opulent mansion, and then onto a prison cell and a university building. 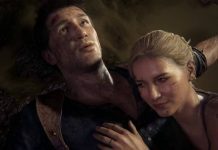 The breadth of locations and your freedom to explore as you please certainly has an air of Broken Sword. Sure, our protagonist Miles might not be quite as charming as George Stobbart, but he still manages to captivate with his moody demeanour. 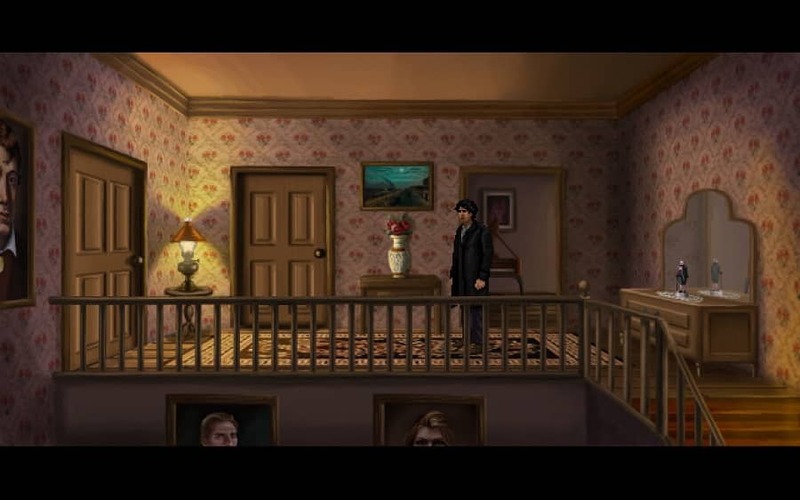 But what sets Lamplight City apart from the legendary point and clicks that came before it is its branching narrative. We’re used to adventure games having a set path to follow. And if we get stuck, it’s a case of combining every damn item in our inventory with every damn object in the world until we figure out what to do. That’s not the case with Lamplight City. Miles Fordham is a private detective, but he doesn’t always get everything right. Even if he makes a wrong choice, the game continues regardless. The game includes false leads, and you can feasibly accuse the wrong suspect. The case included in the demo involved an attempted murder. A man was in prison, waiting to be executed, but no solid evidence had been found against him. And that’s where Miles comes in; it’s his job to investigate the crime and deduce the real culprit. Given control of Miles, it’s up to you to find all the clues you can. That means exploring locations and talking to suspects and people of interest. Interrogating people on sensitive subject matter may make them unwilling to talk to you, shutting off sources of information. Not all clues are easy to find, and not everything you’ve found is necessarily a real clue. It pays to be thorough yet careful. In Broken Sword, finding a red clown nose is obviously a clue, but in Lamplight City it could be nothing more than the nose of a clown. During the first chapter, I could report my findings at any time and name the person I believed was guilty. I tried to be as thorough as I could before making a decision. I’d found compelling evidence against my prime suspect, but I failed to get more information out of a couple of key interviewees. I’d potentially missed crucial evidence. The level of freedom given by Lamplight City is refreshing, but also nerve-wracking; it may only be fiction, but I still don’t want to send innocent people to jail! There’s no set release date for Lamplight City just yet, but it’s “coming soon”. 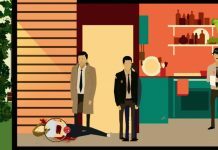 If you’re a fan of the point and click genre, then this is definitely one to watch out for. I may have only played the first fifth of the game, but as long as the remaining four chapters are anywhere near the standard of the first, Lamplight City will deserve your attention.